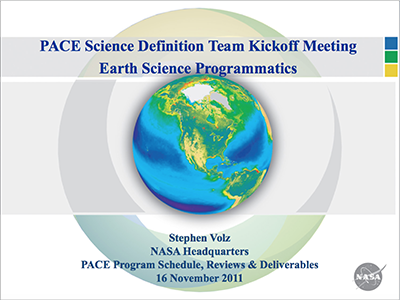 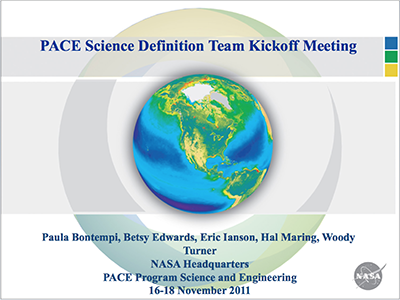 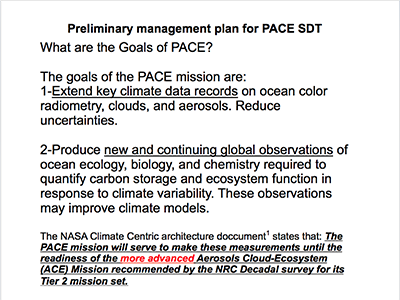 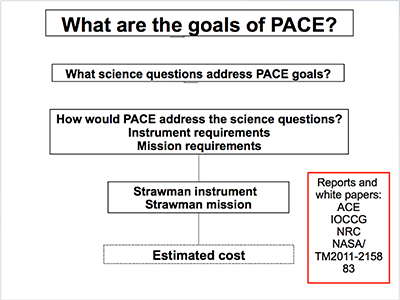 In 2011, NASA selected the PACE science definition team (SDT) via an open solicitation. 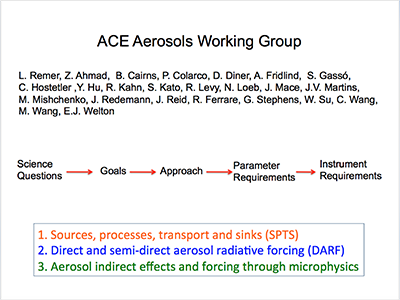 Composed of ocean, aerosol, and cloud scientists, the SDT held its first open community workshop in Arlington, VA. 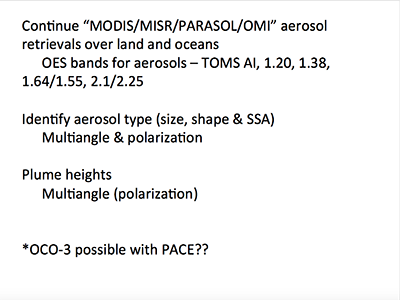 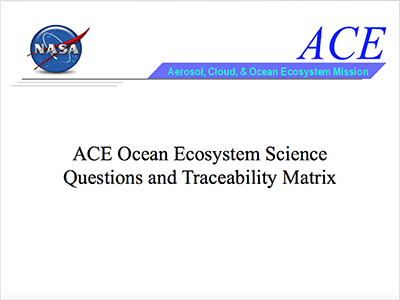 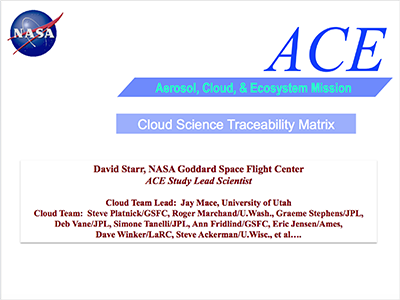 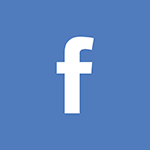 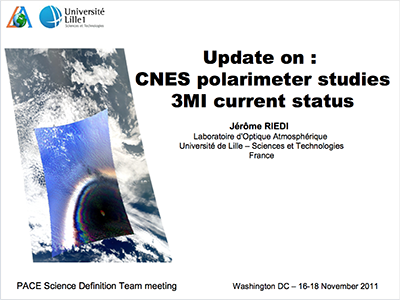 The team was tasked with providing science input to the NASA's PACE mission study (ocean biology/ecology/chemistry and clouds/aerosols) and CNES's polarimeter instrument study. 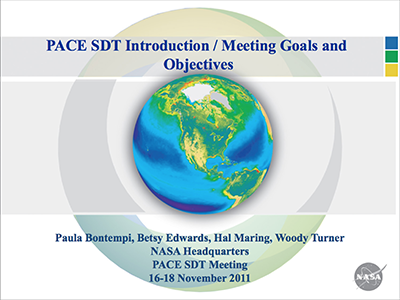 The SDT was charged with defining the science content of the mission and working closely with the engineering team to define (a) mission concept(s) that optimizes science, cost, and risk. 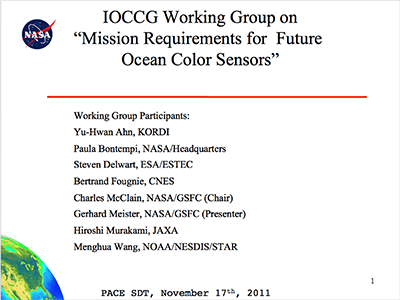 They are also responsible for defining and defending the science value of the mission concept(s).